Join Mike and Cindi Madsen as they discuss the perfect wedding…dude style all week long. Everyone knows the first important detail to nail down is location, location, location. Join us again tomorrow for the next key detail for the perfect dude wedding with the Madsens. 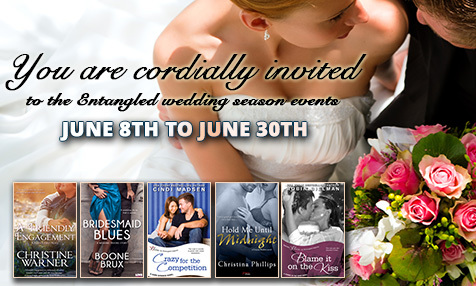 And don’t miss the giveaway going on all month long for the Entangled Wedding Book Box.